The opening keynote message for brokers at today’s Mortgage Summit was the need to balance creativity, technology and profit to define success. 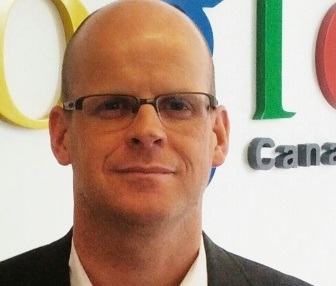 "The mortgage industry is too often guilty of naval-gazing and recklessly chasing emerging technology and marketing trends," Google Canada Account Executive Dave Rooney told delegates on the first-day of the Toronto event, drawing some 500 industry players from across the country. "The reality of marketing today starts and ends with ROI." The comments come on the first day of the CMP event, spread over two days and focused on bringing brokers together to help each other, but also to map out solutions to some of the challenges facing the industry. With more than 25 working sessions on any and everything from winning partnerships with leading Realtors to master classes delivered by CMP Top 75 brokers, organizers have billed it as a working conference. Veterans, including Ron Butler, of Verico Butler Mortgage, Gordon McCallum, president of First Foundation, and Greg Williamson, founder 180 Degrees Solution are only some of the industry names taking to Summit stages at the Toronto Congress Centre. The event continues Friday, with a flood of out-of-town brokers expected to take part just ahead of the night’s Canadian Mortgage Awards. As topics, the need to reshape lender interaction with clients and what constitutes a successful social media strategy are sparking debate between panelists and delegates, but the challenge of winning the rate war is the thread running through the Summit. The Google presentation touched on how best to improve search engine optimization to battle against competitive forces. Integrating technology into marketing campaigns to deliver ROI should be a part of best practices, Rooney and John D’Orsay of the Mortgage Teacher said. It is all about how to keep abreast of emerging technology, but not to get distracted or lose your way.